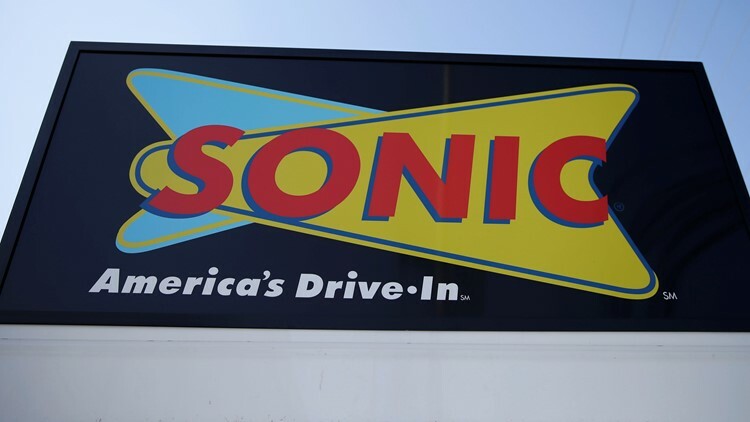 This March 9, 2015, file photo shows a sign for a Sonic Drive-In in Holmes, Pennsylvania. Workers were led to believe their hourly wages were being cut to $4 per hour plus tips. Entire staffs at three Sonic drive-ins around Columbus, Ohio, walked off their jobs last week, CBS News reports. It comes after the corporate takeovers of 10 of the hamburger chain’s 10 restaurants in the area. "Due to terrible management the whole store has quit," reads an expletive-laced goodbye note taped to a window of one of the restaurants, several media outlets reported. Sonic confirmed to CBS News the employees walked off their jobs on Feb. 22, but it blamed the impromptu protests on a misunderstanding that spread ahead of a change in ownership. A spokesperson for Sonic also blamed a disgruntled manager who lost their job in the transition for spreading rumors. According to reports, workers were led to believe their hourly wages were being cut to $4 per hour plus tips. It would be a decrease from the $8.55 an hour minimum paid to non-tipped workers in Ohio. The minimum wage for tipped workers in Ohio is $4.30 per hour. Regardless of whether a company compensates workers as tipped or non-tipped, all workers must earn the state minimum, Ohio state officials told CBS News.